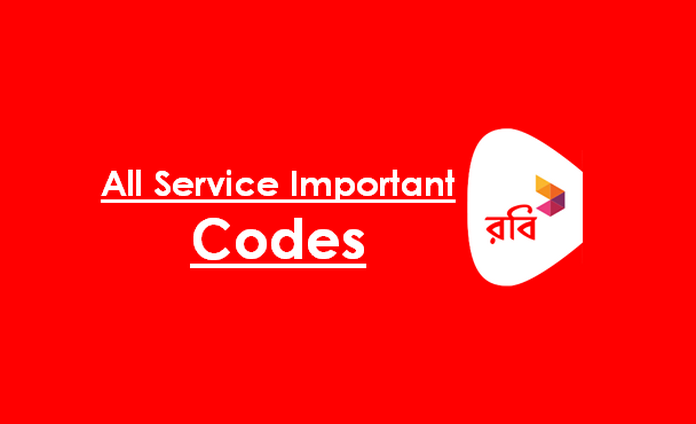 Robi All Service Important USSD Codes 2019! Robi Axiata is the biggest mobile operator company in Bangladesh. Today I share the most essential USSD codes for Robi all customers, most codes enclosed in this article. I provide in this article Robi activation and deactivation codes, I hope to help the article all Robi customers. All USSD codes are going to be valid and update as a result of I already checked one by one, therefore follow this text and acquire Robi All Service Important USSD Codes. How To Get an Emergency Balance in Robi? How To Check Robi 4G SIM and Mobile? Note: If you need another service code, please tell us by comment or call Robi customer care. Thank you so much for the reading Robi All Service Important USSD Codes, and the long time with us, if you help from on this post, please share this content and our website.